Methadone is a synthetic, prescription opioid that scientists originally developed as an alternative to opioid painkillers. Although morphine remains the most commonly prescribed opioid in hospitals, some physicians prefer methadone because of its long half-life and gentler impact on the liver. Doctors typically prescribe it to treat severe pain associated with post-operation pain, injuries or chronic illness. Because of methadone’s slow and gradual onset, clients do not experience the euphoria associated with other opioids. However, they may feel more relaxed and sedated. This reduced “high” has made methadone a popular drug in opioid maintenance therapy, a conventional treatment used to soothe withdrawal symptoms related to heroin, fentanyl and other illicit opioids. Methadone’s effectiveness as a replacement drug has made it one of just three substances approved by the FDA to treat opioid dependence. The others are buprenorphine and naltrexone. Today, methadone become better known for treating addiction than for pain management. Methadone affects the brain similarly to morphine. It latching onto the Mu-opioid receptors, changing the communication between the brain and the nervous system. This blocks pain and create feelings of relaxation. When taken as prescribed, the drug safely treats pain and aids in addiction recovery. Indeed, it has helped many clients reclaim healthy, productive lives. Methadone recipients are encouraged to participate in medication-assisted treatment (MAT) program for optimal results, which typically includes counseling and support. Medically assisted detox is a core part of our addiction treatment programs at Sprout. What are the side effects of using Methadone? What are some of the benefits of using methadone? When used to treat addiction, methadone helps to relieve painful symptoms associated with opiate withdrawal. When taken for minor ailments such as a headache, it provides instant pain relief. Its long half-life means clients need fewer doses, and because it is taken orally rather than injected, it can help to stop the spread of HIV, hepatitis and other diseases prevalent with needle sharing. Some studies show that clients who replace “street” opioids with methadone are also more likely to complete treatment. What are the risks of taking methadone? 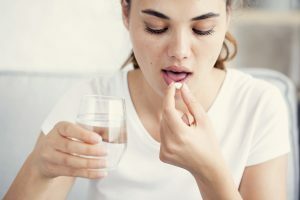 Although there are many benefits of taking methadone in a medical environment, especially for individuals already addicted to other opioids, the drug is not without risk. In a recreational environment, where doses are often much larger than those prescribed by doctors, methadone can trigger feelings of euphoria and a strong desire to continue using, essentially creating the same addiction-related problems of other opioids in recreational users. Medically, doctors face the risks of clients developing a dependence on methadone through prolonged use. How can you prevent Methadone addiction? To prevent the risk of addiction, doctors should carefully track how a client’s body responds to methadone and adjust the dose as needed. When clients no longer need pain management, dosage should be reduced slowly to prevent dangerous withdrawal symptoms. 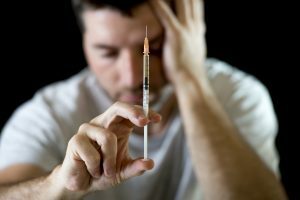 What treatment is recommended for Methadone addiction? If you or someone you love suffers from methadone addiction, it is important to remember that addiction is not your fault. Sprout Health Group is here to help and support you along your journey toward recovery. Our comprehensive treatment plans involve a personalized assessment, followed by medically assisted detox, behavioral therapy and the aftercare needed to successfully transition from treatment to a life in sustained recovery. 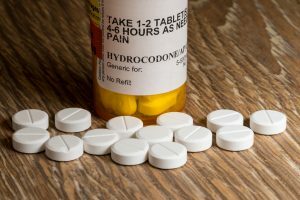 Hydrocodone is an extremely powerful narcotic that is mostly prescribed for injuries and post-operation pain.